Michael Hyek, director of Ohio Heart Health Center. 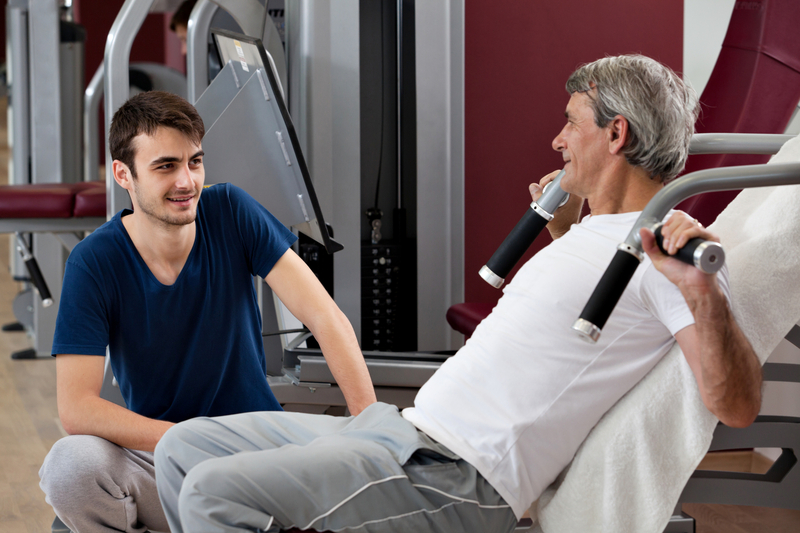 Convincing older people that they are not too old to commence a resistance training program can sometimes be difficult. I’m too old to do “this or that” is a typically common response from those of more advanced years. Societal conditioning has contributed to this negative mind-set. I am nearly sixty years of age, and suffer with two auto immune conditions – Rheumatoid Arthritis and Chronic Fatigue Syndrome. As a former avid weight trainer this initially came hard for me, but I was able in time, to adjust my exercise selection and intensity to accommodate. The illnesses initially required me to adjust my training considerably, but the routine I now follow has allowed me to preserve much of my muscle mass and strength, by incorporating short intense workouts allowing optimum recovery. Chronological age should no longer be considered an acceptable excuse to avoid exercise. There are numerous individuals who have achieved extraordinary results by changing their mind-set and commencing an exercise protocol. Many have progressed to achieving levels of strength and endurance, far beyond what they originally thought would be possible. This is evidenced by the older athletes now seen participating in triathlons, iron man competitions, marathons and crossfit which has become massively popular in recent times. Due primarily to medical advances in treatment and diagnostics, humans are living longer now than ever before. The older population continues to grow with over 11.6 million (18% of population) aged 65 or over. Unfortunately however, this increase in human longevity has not been associated with a significant decrease in disabling health conditions. Consequently an increasing population have to endure this in their advanced years. These conditions obviously hinder their quality of life and ability to undertake and enjoy desired activities. This presents us with a dilemma. What is the advantage of increased longevity if it is not coupled with maintaining a satisfactory quality of life ? There is no point living longer with an increasingly poorer quality of life. Maintaining our independence, and fitness to perform functional, enjoyable activities, should be of prime importance, not merely an extended life span. Whilst a certain age related decline in physical ability is inevitable, chronic debilitating illness and corresponding decline in quality of life shouldn’t be. Indeed evidence indicates that this can be mitigated against by increasing our physical activity. Losses in muscle size and strength are not solely related to the decrease in physical activity associated with the aging process. However, there is increasing evidence that sedentary lifestyles exacerbate the effects of aging, and if we get into the habit of becoming more sedentary, then we only accelerate the aging process. Sitting has recently been termed the new smoking, and whilst this may be an inaccurate comparison, there is no doubt that sitting can be associated with physical decline and the aging process. Many older individuals however are enjoying an increased quality of life, as a result of pushing their physical limits. They have refused to let their age define the limits of their physical ability. As a consequence they are enjoying the fruits of exercise and the health benefits associated with it. In recent decades many competitive strength sports include a “masters” section and some even have a “grand masters” division. This has enabled an increase in the number of older athletes competing in organised sports. Membership of this club for the older athlete is usually for over 40s (masters), but in recent times has seen an increase in individuals in their 50s, 60s, 70s and beyond particpating, especially in the popular events like marathon running and crossfit. It is unfortunate that age related decline in physical performance is a reality after about the mid-thirties. Evidence and research information on the nature and rate of this performance decline however is not abundant. At present it seems that the bulk of research has been undertaken on endurance athletes rather than resistance trained older athletes. This is primarily because distance running is the most popular exercise taken up by older people. In fact running remains the most popular exercise in the world. Running however, utilises predominantly an aerobic oxygen dependent system. Evidence indicates a decline in performance in this energy system of 6 to 12 % per decade after about the age of 30. There is little performance research available for strength training, which relies predominantly on the anaerobic energy system. Research available however indicates similar levels of decline. Reductions in strength between the ages of fifty years and seventy years can apparently range from 24% to 36%. Evidence indicates that strength decline is more predictable and greater than endurance decline in the older athlete. This decline is associated with decline in testosterone levels. Many elite athetes utilise anabolic steroids to increase hormone levels in order to improve physical performance. The older athlete can still remain competative however, even with his or her younger counterparts, provided that reasonable adjustments are made to training programs. Training protocols probably only require small adjustments to volume and intensity. The older athlete is generally able to train as hard, and long as his younger counterparts. Recuperative ability maybe slightly more compromised with age however. Optimal training frequency for the older athlete appears to be around 4 times per week. Environmental factors may also need to be factored in, as our ability to withstand extremes of temperature also reduces with age. Athletes of advanced age who are being coached, know their own body better than anyone else. They are familiar with their aches and pains and when they may need to back off in order to prevent overtraining or injury. Coaches therefore need to be particularly receptive to their feedback. Addionally, athletes suffering arthritis, pain, and connective tissue injuries, need not avoid exercise altogether. They should however follow properly adapted training protocols designed to avoid exacerbating existing or previous injuries. Even those normally non-training individuals with chronic conditions can benefit from resistance training. This will assist in delaying the aging process and optimise hormone levels. It has even been shown to have curative effects on low grade tumours. Muscular strength and muscle density, is a good indicator of health and potential longevity in the older person, for both the older athlete and the general population. The primary goal of Strength training the older person is to reduce the loss of muscle mass and the resulting loss of motor function. Indeed progressive strength training in the elderly has been demonstratedis to reduce sarcopenia (degenerative loss of skeletal muscle mass) and to retain motor function. Strength training has been shown to be the most effective means of maintaining or improving lean muscle tissue, strength and power. It is highly recommended for all and certainly should be an important component in any training regimen of the older athlete. Nutritional requirements also remain much the same as with younger athletes, and the early provision of protein and carbohydrate following a weight training session can enhance resultant strength and fat-free mass gains. 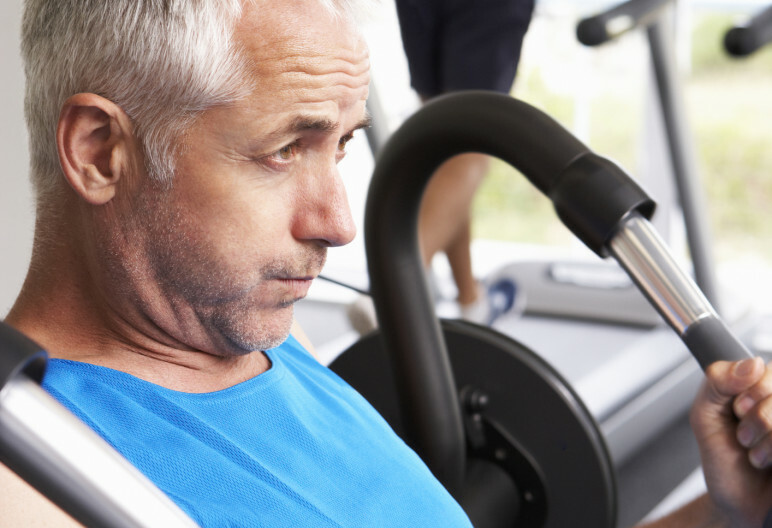 Dont let advanced age stop you from reaping the rewards from exercise. 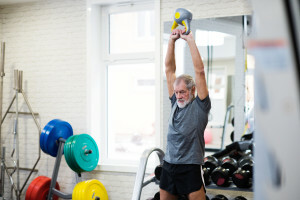 Regardless of age, you should optimise your health and longevity by following a progressive resistance training program – you will be glad that you did. Nicole D, Gent N, Norton K. Aging has greater impact on anaerobic versus aerobic power in trained masters athletes. J Sports Sci. 2013. 31(1): 97-103. Nicole D, Gent N, Norton K. Aging has greater impact on anaerobic versus aerobic power in trained masters athletes. J Sports Sci. 2013. Nutritional consideration in the aging athlete. Tayrose GA, Beutal BG, Cardone DA, Sherman OH. The masters athlete: a review of current exercise and treatment recommendations. Sports Health. 2015. Chronic low-grade inflammation and age-related sarcopenia.